What can be easier than paying for your groceries with your phone? The concept that we didn't even dream of some years ago is now slowly becoming a widespread and common practice all over the world. American Bank Center, Bank of Akron, Bank of the Valley, Benchmark Community Bank, Cashmere Valley Bank, Central Savings Bank, Citizens Tri-County Bank, Family Savings Credit Union, Fidelity Bank & Trust, Fortifi Bank, Frontier Bank, Gate City Bank, Hickam Federal Credit Union, NBH Bank, New Peoples Bank, Inc, Omega Federal Credit Union, Pacific Horizon Credit Union, Portland Federal Credit Union, Santa Rosa County Federal Credit Union, Security Savings Bank, SouthCrest Bank, St. Mary’s Bank, The Delaware National Bank of Delhi, The Stephenson National Bank & Trust, and United Bank (AL). 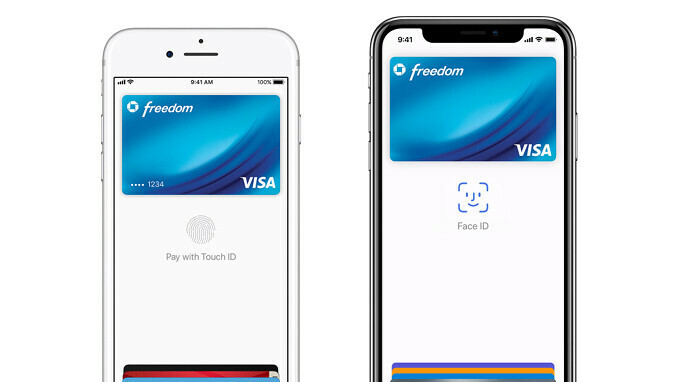 If you haven't used the mobile payment service yet, then you should know that Apple Pay does not require specific contactless payment terminals, as it's fully compatible with existing contactless terminals. You'll be able to use Apple Pay with any of the supported banks and credit unions if you own one of the following iOS devices: iPhone 6, 6 Plus, iPhone 6S, 6S Plus, 7, 7 Plus, 8, 8 Plus, iPhone X, iPhone SE, iPad Air 2, iPad Pro and the Apple Watch.